A rustic piece of art that won't rust away, this metal mouse is worth the buck. 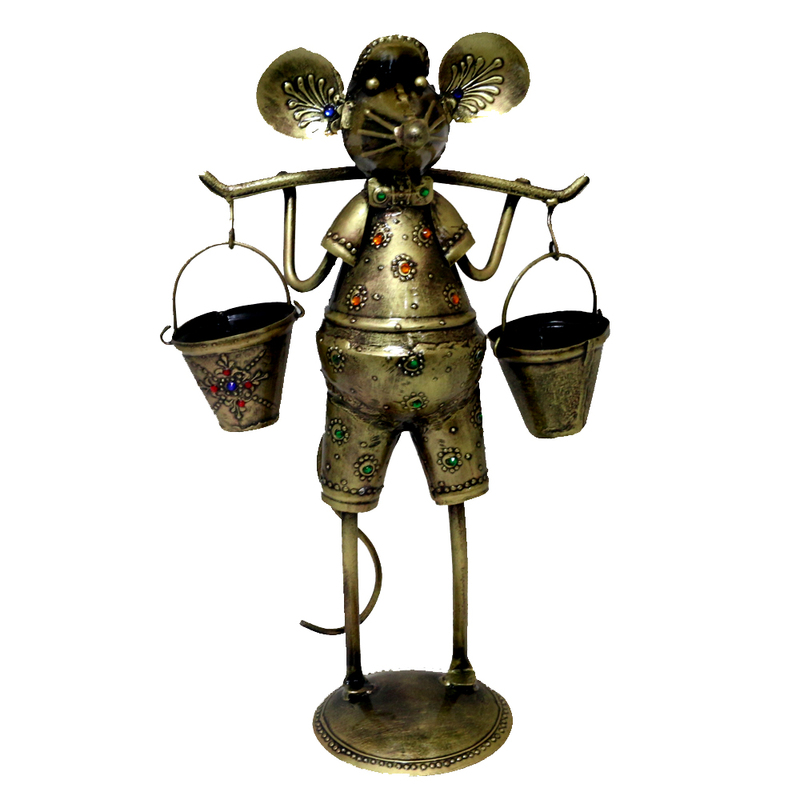 A metal mouse showpiece, crafted to give the fun feeling it exudes, is definitely buck worthy. With the brass colour this will definitely jazz up Read More..the look of the place it is placed in. Show Less..